As you may know -or not- I’ve lived and studied in Porto for a time. I absolutely love this city more than any in Portugal thus, I decided to share with you my ultimate to-do list. I have so many great memories from those years I’ve spent in Portugal and I would like to share then with you. So, this post is just the beginning of a series of posts about Portugal. What do you think? My favorite burger place ever is called “Munchie“ in Porto center. It’s just amazing and cheap. The night menu is at 5€ (classic burger + chips + drink) and the other burgers for maximum 7€. There is an amazing place called “Mercado Bom Sucesso“. It’s an old market which was completely renovated and where you will find a heaven of food. It’s a bit more expensive and classy than the restaurants in the city but you will find different types of food, always very gourmet. My favorite bar in Porto, near the Fine Arts faculty is “Duas de Letra“. The place is very cosy. They serve really nice cakes, sandwiches and they have a different menu for lunch each week. It’s an alternative place where you can eat vegetarian and vegan, see art exhibitions and even live music. “Tascö“ serves crazy petiscos (Portuguese tapas). You will have to book a table because it was full all the time but, trust me, it’s worth it. We had different assortment of cheese, ham, and it was just delicious… I recommend you to try the Alheira, a typical Portuguese sausage. The owner of the place is super friendly and he even took the time to have a chat with us. If you like cakes, cupcakes, coffee, teas,… you should try “Moustache“. It’s a really nice to meet friends and chill, especially when it’s sunny and you can sit outside. Fries are a big deal for me. And in Porto, they are not that good, unfortunately. BUT, I found a super typical restaurant in Gaia (the other side of the bridge). It’s called “Restaurante Sao Gonçalo“. You will eat next to fishermen and Portuguese workers but the portions are big and the prices are fair. For a chill coffee in the afternoon, try the “Traveller Caffé“. We spend a lot of time in “Eu & Tu” after becoming friends with the owner. It’s a typical Portuguese restaurant with easy and tasty dishes. Cheap, good and lovely, I will definitely recommend it! On Sundays, almost everything is closed but go to “Rua“, they have good tapas, live music, chill atmosphere and good wine! Next to Clerigos there is a LOOOT of bars in the streets called “Galerias de Paris“. Go there Friday/Saturday, entrance is free for most of them. Just enter in one, if you don’t like it, try the next one! Pass by the “Embaixada da Lomografia“, they have great parties with special themes each day, cheap cocktails but also good little dishes during the day (like crêpes,…) for small prices! I totally recommend it! Go on top of “Torres do Clerigos“ on a sunny day, you can see all Porto. Just to let you know: Lot of stairs. Go to the other side of the river to Vila Nova de Gaia and do a wine cellar tour with tasting. I worked in “Burmester”, but others are cool too. If you like music, you can visit “Casa da Musica“. The visit is 5€ but the building is really beautiful, outside and inside! The guides are really funny and friendly. Next to Clerigos you can also find one of the most beautiful libraries in the world which inspired Harry Potter’s castle and it’s called “Librairia Lello“. If you want to visit a super cool museum of contemporary art, I recommend you “Casa de Serralves“ and there is a very nice park around. It’s really worth it and it’s free when you are a student so don’t forget you student card. Porto has a lot of little parks but the park of the “Palacio de Cristal“ is really nice and has a romantic garden. There is also the “Parque da Cidade“ which is bigger and just next to Matosinhos beaches. Porto is cool for picnics if you like this! There is an amazing art spirit in Porto. I advise you to visit “O! Galeria“, Miguel Bombarda street in general and “Galeria Dama Aflita” (which is the art gallery from my illustration teacher). Also, you can spot on the walls of the city the amazing tags of Hazul. Do you have other places to suggest? 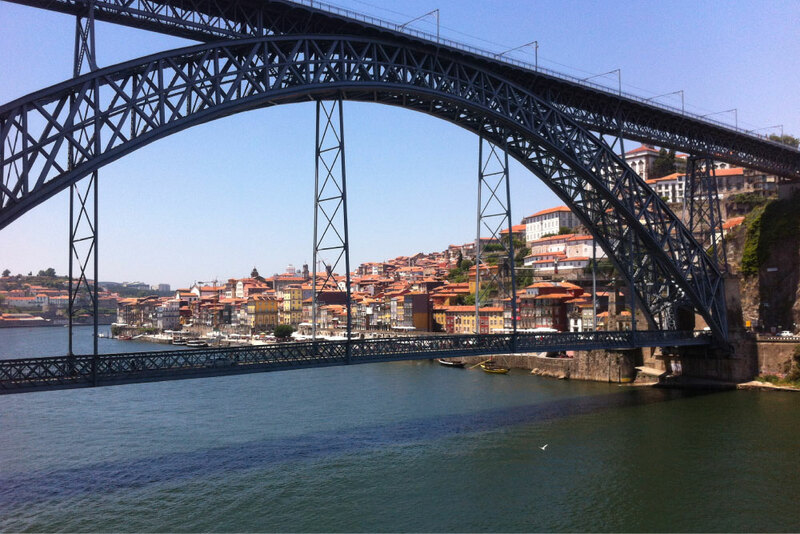 Did you already visit Porto? Please share them with me!